• Stevia: The newest sugar substitute in the market. The FDA (Food and Drug Administration of the US) deemed it safe to consume in its processed form but not approved when used in its raw state (whole leaf or pulverized). In studies with animals, Stevia did not provoke toxicity in rat embryos nor did it affect outcomes for pregnant rats, but data on the effects of Stevia in human pregnancies is yet to be determined. We recommend to talk with your doctor about his stance on the use of Stevia during pregnancy as many still do not recommend its consumption. • Sucralose (Brand name: Splenda): This sugar substitute is approved by the FDA for consumption during pregnancy. It’s a great alternative to sugar. It can be used to sweeten beverages and even for cooking and baking. Just be sure to moderate your consumption of foods sweetened with sucralose as they may not be the healthiest choices. Instead try to eat lots of sweet fruits and fresh veggies. • Aspartame (Brand names: Equal, NutraSweet): This artificial sweetener is quite controversial. Lots of experts say it is harmless, others say it is unsafe to consume even if you are not pregnant. Nonetheless, aspartame is approved by the FDA for pregnant women, but its consumption during the period of gestation should be limited to one to two teaspoons a day maximum. A can of diet soda is okay once in a while, but large amounts or daily use is not recommended. Also remember to avoid aspartame completely if you have PKU (Phenylketonuria, a rare medical condition). • Acesulfame-K (Brand name: Sunnette): This artificial sweetener is commonly found in gelatin, gum, soft drinks and even baked goods. It is approved by the FDA for consumption during pregnancy but remember that moderation is key. It is not common to find in packets to sweeten beverages so it’s always best to read the ingredients of processed goods and try to stick to natural foods as much as you can. • Saccharin (Brand name: Sweet’N Low): The FDA approves this sweetener, but obstetricians and gynecologists don’t recommend it because studies have found problems with cancer in lab rats. Other research have found that saccharin can permeate the placenta ad reach the baby who can’t digest it as quickly as the mother. 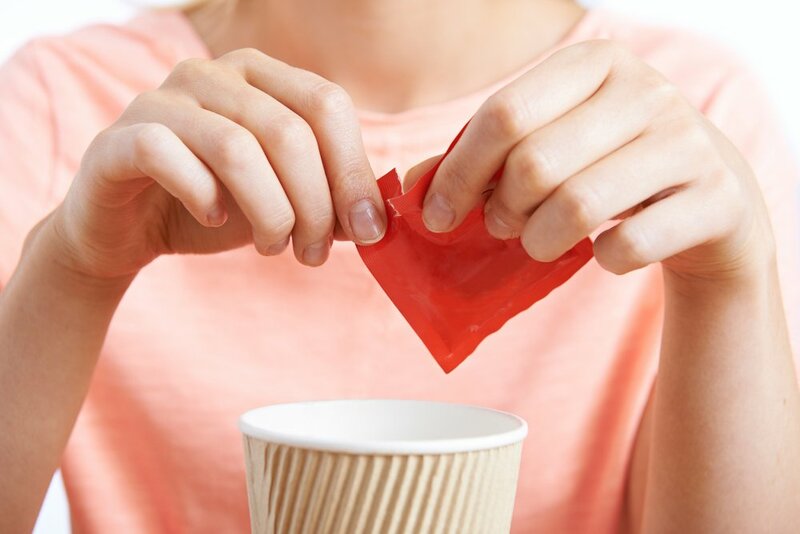 So, if saccharin is your only option for sweetening a cup of coffee or tea, its best to avoid it completely. Remember to talk with your doctor about artificial sweeteners before consuming them. Don’t forget that moderation is key when it comes to these products, not only to be safe, but because high consumption of sweets means that other more nutritious food options are left aside. Parents praise their children for many different things, especially during their first few years of life when they are constantly learning and accomplishing new tasks. Be it that their children finally learned to walk or simply look extremely beautiful, parents tend to constantly praise their children for almost everything. It seems as if they were hired to play cheerleaders for their children the whole day. And don’t get me wrong, this is great! Babies need this kind of social support to keep up, learn, and grow. But, not all types of praises benefit children in the same way. It all depends on the chosen words and whether these words are focusing on the toddler’s efforts or on her physical and individual characteristics. For instance, the phrase “good job” focuses on the toddler’s actions, while “good girl” focuses on the toddler as an individual. Even though both of these phrases may sound quite similar, they have very different effects on toddlers. A study found that children are better prepared for future life challenges when they are praised for their actions and efforts, rather than for their innate qualities. Anxiety is very common amongst expectant moms, due to doubts about pregnancy, concerns about the future baby, and fears about delivery. Also, physical and hormonal changes could give pregnant women mood swings and increase their stress levels. Why should anxiety be reduced during pregnancy? Stress can be harmful when it’s suffered during long periods of time, due to the high levels of cortisol produced in the body. If cortisol is maintained elevated for too long, it could raise your blood pressure, and disrupt both your memory and immune system. There’s still no concrete information on how prolonged stress affects future babies, however, studies have found that some developmental issues are related such as preterm delivery, spontaneous abortions, attention disorders, and language delay have been associated with stress during pregnancy. How can I decrease anxiety? There are some exercises that you could do to control anxiety attacks during pregnancy. For example, breathing exercises and prenatal yoga. Doing these exercises will bring lots of benefits for your health and well-being while improving your blood flow and eliminating toxins. Nowadays there are many distractions nowadays and bad habits that could really take a toll on the quality of your sleep. Having good eating habits is crucial for pregnancy since lacking a good diet could affect you and your baby.It’s no secret that getting a good night’s sleep is key to your health and effective brain performance, especially during pregnancy. It’s very important that you maintain good habits for the sake of your baby’s health and yours. Habits don’t just include adequate nutrition, a wide array of behaviors have an effect on your performance and your health. Therefore, having bad eating habits will take a toll on the quality of your sleep, and not getting enough sleep will directly take a toll on your mood. Constant stress due to poor sleeping habits can have an effect your baby, that’s why it’s so important that you try to sleep enough and eat well during pregnancy. A good eating habit includes eating dinner early, at least 3 hours before bedtime. Another includes decreased consumption of carbonated drinks or highly caloric foods so you won’t have a hard time sleeping. Avoid caffeinated food and drinks for at least 8 hours before going to bed. Remember that you should not exceed more than 200mg of caffeine a day, so it’ll be helpful to keep a record of what you are eating each day. On the other hand, some studies have found that there’s food with relaxing properties that could stimulate serotonin and melatonin release to your nervous system, and help you sleep better.